Let’s be honest. When it comes to training, we all want it all. We want to look great, perform great and feel great. However, while our training might deliver some of these benefits, it rarely gives us all three of these benefits. You don’t have to choose between strong and beat-up or healthy and weak. You can improve how you look AND how you perform. 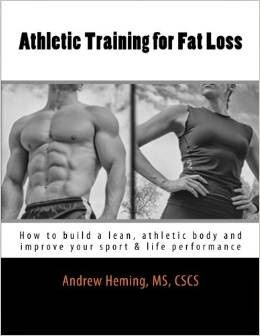 That’s what this whole blog is about: helping you improve your health, performance and aesthetics. Today, let’s look at an exercise that can deliver all three of those benefits in one powerful package – the single leg squat. Like most people, I started squatting with two legs when I was a toddler. Then, as a young trainee before the internet era, I mainly half squatted and leg pressed because I didn’t know any better. Sure, I did lunges here and there, but I never really loved the results I got from them. As time went on, I started specializing in athletic performance training and working as a university strength & conditioning coach. I knew the importance of unilateral (one limb at a time) training. For many years, the unilateral training I did with athletes was mostly lunge and split squat variations. However, as time went on, I began experimenting more with single leg squat variations. Over the last year I really made single leg squats a staple in my own training and with my athletes and I was very pleased with the results. When I train people, I’m obsessed with 2 things: safety and effectiveness. I have seen traditional squats transform people’s appearance and performance. So for the record, I’m not anti-back squat. For healthy, younger people (I’ll let you decide what “younger” is) with good mobility and a suitable squat structure, bilateral (2-legged) squats can be amazing. However, as a coach, it is my job to find the best tool to get the job done for each individual. I refuse to blindly follow tradition and try to make an individual fit a lift that is not suited for him/her. Rather, I find a lift that fits the individual. If the back squat is not a good fit, I look for another tool to build strong legs. Remember, you don’t have to choose between double and single leg squatting. You can do both and enjoy the unique benefits that each has to offer. Life is much more enjoyable with a healthy low back. When you squat on two legs, you need a heavy barbell to challenge your legs. As a result, you put more stress on your spine. While this is not necessarily bad, too much is bad. Too much results in cumulative stress, fatigue and decreased recovery. In addition, if you have previous back problems, you may be limited with what you can put on your spine. Single leg squatting provides a way to work on your legs with far less stress on your spine. While the low back gets a break during a single leg squat, your leg gets absolutely hammered! The position of the single leg squat (see the picture above) keeps the back more upright, which makes your leg to the work. Also, unlike lunges and split squats, there is absolutely no help from the back leg. As one who has always struggled to feel squats in my legs, I was amazed at how “easy” it was to target my quad with a single leg squat. Being able to feel the target muscle is essential for building muscle - you can’t feel it, you can’t build it. I train many different people with very different structures. While structural limitations can significantly affect your ability to back squat, you don’t get this with a single leg squat. This is especially true if you hold your arms in front of you with some light counterweights (again, please refer back to the picture at the beginning). 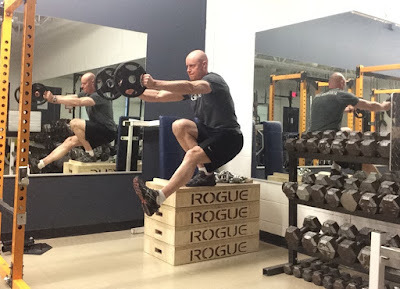 As a coach, I love that I can use a single leg squat in a team program and know I won’t have to make a bunch of exercise adjustments for varied structures. Since you are standing on one leg for the entire rep, single leg squats require a lot of balance and hip stability. This is great for injury prevention. Do you have a difference in flexibility, stability or strength of your right vs. your left leg? If left uncorrected, this can lead to injury. Try single leg squats and you will quickly find any asymmetries. Because your squatting leg is completely on its own, your body has no way of helping or cheating with your stronger leg. If you do find a left-to-right asymmetry, you can correct this with single leg squats. Simply work the weaker/less stable side as hard as possible with proper form. Then, match this on the stronger side. When selecting an exercise, it is important to consider the time it takes to learn that exercise. The longer the time it takes to learn an exercise, the longer you are in learning mode and not training mode. While the exercise is challenging to do, single leg squats are relatively easier to learn. They are also less coaching-intensive. Trainer note: if you coach large groups, you will appreciate this. Thus far, I have found that single leg squats are easier to progress than double leg squats. Yes, this could be the novelty effect. I’ll need more time to know for sure. I have also found that double-leg squats often require a higher frequency to really see progress. This can be challenging for athletes and busy folks. Single leg squats don’t seem to need this same frequency to see progress. While some people love the feeling of hobbling around after leg day, many folks need functioning legs for sports, work and daily life. When I’m training athletes in-season, I know I have to be extremely careful with soreness. Sore, stiff legs interfere with an athlete’s ability to practice effectively and could cost the team an important game. While you will be sore when you first learn them, single leg squat don’t give you that deep groin and upper hamstring soreness you can get with lunges. Note: lunges and split squats are still great, you just have to be more careful when and how you use them. Almost everyone is pressed for time these days. Whether you are an athlete with huge sport commitments or an everyday person with huge life commitments, you want your training to be as time-efficient as possible. When programming, I’m consistently looking for the “biggest bang for your buck” exercises. Single leg squats are both fast and easy to set up and deliver all the above benefits in one time-efficient, results-producing package. How about you? Have you tried single leg squats? If so, what was your experience?